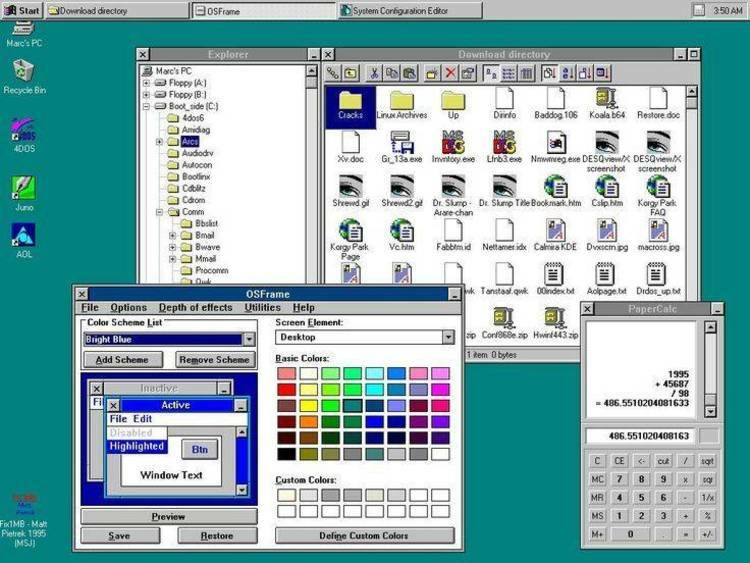 WINDOWS COMMANDER 2.0 ‘preview’ for NT/95/3.1. To install Windows Commander, just run install. fixed windows like a well-known file manager for DOS. - Keyboard functions similar to the DOS original. - Supports Drag & Drop with the mouse, including to the print manager. called. Pkzip, arj and lha are all supported. under the cursor can be handed over to the application. by typing the program name or by pressing CTRL+ENTER or CTRL+SHIFT+ENTER. format, using either the ASCII- (DOS) or the ANSI- (Windows) character set. wincmd.ini and noclose.pif in your Windows directory! Installation BY HAND: Just copy the files to a directory on your hard disk. than the windows or system directory!! !